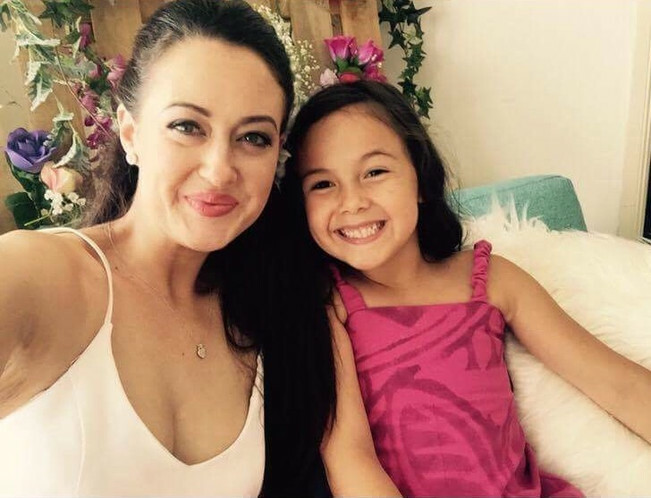 Starting your own cosmetic and skincare business before the age of 30 is no mean feat for anyone but add to that, sought after make-up artist and mother and you have Zoe Leota. 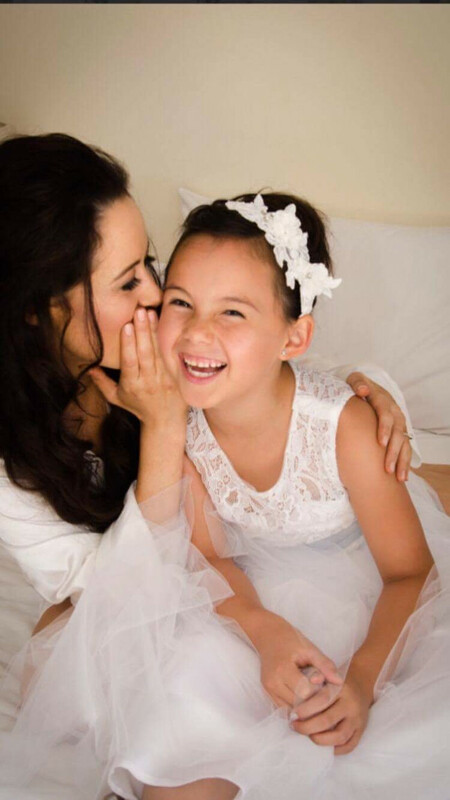 A down-to-earth, driven and bubbly woman, Zoe and her gorgeous daughter Laila, 7 are seriously, the cutest pair. 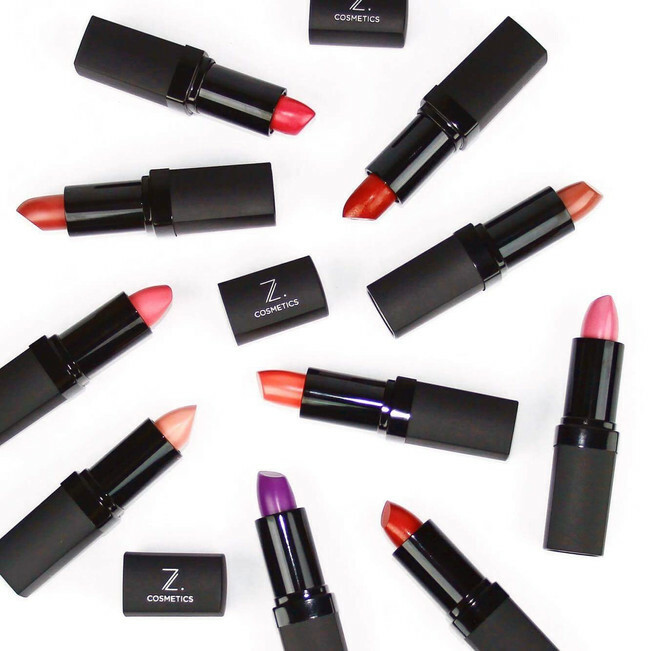 Dreaming up the idea of Z.Cosmetics before Laila was even born, it has taken Zoe seven years (with many of those as a single mother) to see her much dreamed about brand come to life. The website for Z.Cosmetics officially launched in 2016, the same year that Zoe got married to her now husband, Oke. For Zoe and her family, 2017 is full of promise. Zoe is expecting her second baby, a boy giving (a very excited) Laila a sibling and taking Z.Cosmetics to the next level. 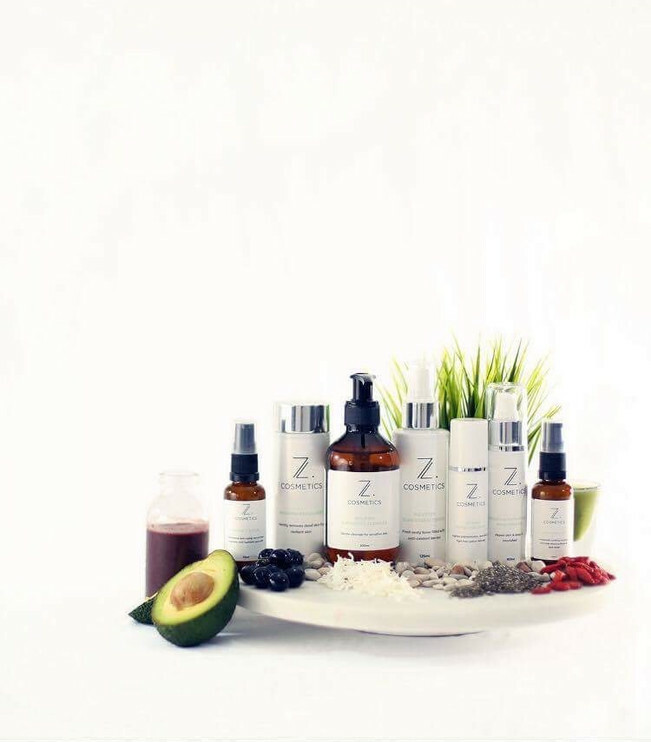 Z.Cosmetics isn't just long lasting make-up but to it, Zoe has now added her ethically produced, sustainable and vegan skincare range including cleanser, toner, exfoliant, serum, masque and moisturiser. The message behind her products is just as important as the products themselves and hearing Zoe speak about that makes you realise her passion reaches much further than just make-up. I started out as a make up artist and very early on I thought it would be cool to have my own make-up line. Over a lot of time, I researched, saved up and got some products made. I even started making lipsticks at home to help me understand how it worked before I even began talking to manufacturers. I started with lipsticks and it quickly grew to anything you would need for your own make up kit. In my naivety, I said let’s ‘go for gold’ and began to produce everything from foundations and powders. From there I wanted a really good skin care range - which is what we have. As a make-up artist the biggest thing that most of my clients don’t realise is that it’s hard to have good make-up application without looking after your skin and I enjoy being able to pamper myself a little bit too so I wanted really nice face products. They’re products that are natural, clean, Australian made and vegan. I loved being a make-up artist and I wanted to make products but I was really conscious about where products were being made, what was put in them and the messages cosmetic companies were sending to consumers. This idea that you had to change your look or look a certain way, the general feel about the make-up industry. What I love about being a make-up artist is playing with make-up and being around it but I get a real kick out of being able to slap some product on someone’s face and make them feel good about themselves. How does being a mum affect how you operate as a business? In a few ways, practically speaking – my time-management and putting time in to my business and being a mum. Also, financially and what I’m investing in the business and possibly taking away from my family. 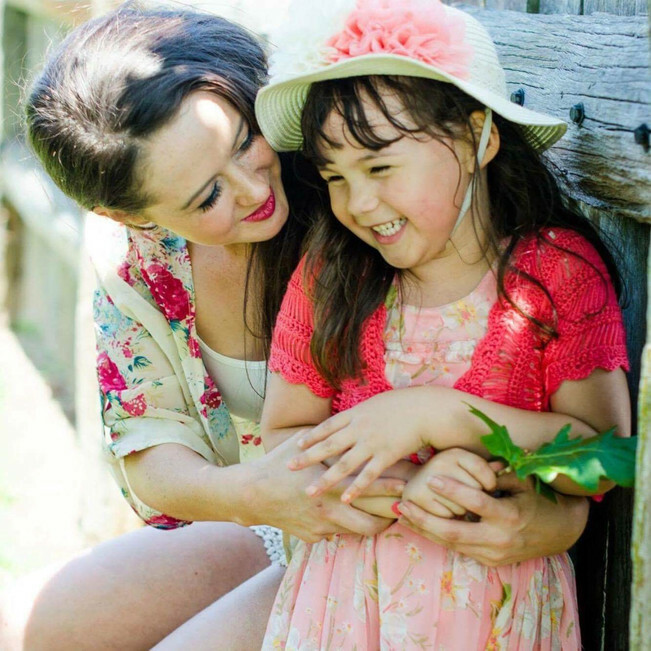 For the first five years of Laila’s life, I did it as a single mum so funds were lower. There is a lot of risk when you’re a startup but the plan is what I’m investing, I’m investing in to their future. But also, owning a cosmetic line and having a daughter makes me conscious of what messages I’m sending out and what I’m promoting to not just her but other women. Does she want to wear make-up? ALL THE TIME she wants to wear make-up! We talk about when she’s old enough, she can wear all the make-up she wants but you don’t NEED make-up. I tell her make-up is just for a bit of fun or to help us do our job. She’s allowed a little lip colour on the weekend and nothing else but then sometimes I’ll notice mascara and ask her if she's wearing any and she’ll say no so I’ll remind her, when you’re older you can choose your clothes and what make up you want to wear. Parenting with the business. The biggest challenge with running a business when you’re a mum is that your priorities are your child first; business second even though your business is technically for your child and balancing that. You're constantly balancing time and finances. Specifically a challenge for me was starting a business that’s been seven years in the works, as a single mum with no financial backing. Going in alone, jumping in and having a go. Also, my background isn’t finance or business or marketing - I'm a make up artist. I just had a dream of what I wanted and had to do that, with what I had and in the stage of life I was in. It’s been seven years of moving forward in very different stages of life and I'm still going. I think the biggest challenge as a parent is how isolating it can be. Networking can be hard, meeting people can be hard and I’m still a start up so I need marketing. What are the challenges of a start up cosmetic business? You’re fighting with the Kylie Jenners of this world. It’s hard to introduce a product when no one knows you. People go with who they know and what’s easy. I remember sitting in my lounge room with all this make-up and thinking oh crap, I have to sell this now. It was a proud moment but then I looked at it all and really just felt like a woman with a really big make-up collection. My biggest lesson is to back myself and confidently ask for help. Reach out to other people with different skill sets and learn from them. When you first had Laila, what surprised you most about being a mum? I was only 21, I definitely wasn’t prepared for how isolating it was or tiring. I also wasn’t prepared for how rewarding and enjoyable it was. That was because I was young and not trying for a baby so I just wasn’t prepared. How have you been preparing Laila for a sibling? Laila has been an only child for 7 years and begging for a sibling so I haven’t had to do much except let her know that the baby can’t do too much in the beginning. She’s pretty desperate for a sibling so it hasn’t been hard to prepare her. We are a blended family so that comes with it’s own challenges but we’re just growing and becoming who we are. It came from a lady I was working with when I was pregnant. I remember freaking out, not knowing what I was in for and she always used to tell me ‘no parent gets it right all the time but letting them know how much you love them never did any harm.’ That has always stuck with me. What advice would give a working mum? Find what works for you. Don’t be scared to push yourself a bit but also be aware of what’s healthy for you and your family. Every child is different, every situation is different and whether you’re expanding a hobby, starting a business or if you already have one - find out what’s healthy for you and your family. But at the same time, don’t be afraid to push yourself. My favourite thing so far, because I’ve only had a daughter and it’s only been her and I for a long time is that I have this awesome girl in my life. I enjoy seeing who she is and how she sees the world. I love seeing who she’s becoming and being a part of that. Now I have to figure out what that looks like with a boy. My first hope is the health of my family and seeing my kids grow up to be loved, happy and healthy. My dream in running business is that I don’t just want to own a cosmetic line but one that has a positive impact on the people it reaches and is a role model for my kids. What do you want Laila to learn from you? I want Laila to learn to not feel the need to look a certain way or be like everyone else. I don’t want her to feel the need to follow tacky trends. If I see another ad for contouring or waist-trainers...it makes me mad. No judgement but I want her to be a strong woman who pursues her own dreams and purpose in life first. I want her to be the healthiest version of herself. I also want her to be a well-informed person who’s making decisions that are good for her, good for people around her, good for the earth and the environment. Even though I’m selling a product, I don’t want her to be the kind of consumer that just buys something because everyone else is. Sometimes I feel that living in a Western country, it’s really easy to fall in to the bubble of what we look like and what we have and we have no concern for how our lifestyle affects everyone else. It sounds cliché but I actually really enjoy being a part of things that help build up other people. I get a kick out of it. I enjoy building my own business and as hard as it is, I love it. Eating and drinking wine and cheese platters when the kids go to sleep.